Gas bubbles produced by marine algae during photosynthesis "ring" when they're released, making a sound that gets more intense with more algal cover, a US Naval husband and wife team has found. They say the finding may allow a simple and fast way to measure algal cover on coral reefs, which is one of the strongest indicators of stress on coral reefs. Funder: Work was supported by NSF IGERT, U.S. Naval Research Laboratory section 219 program funds, National Research Council and American Society for Engineering Education postdoctoral fellowships and NASA. 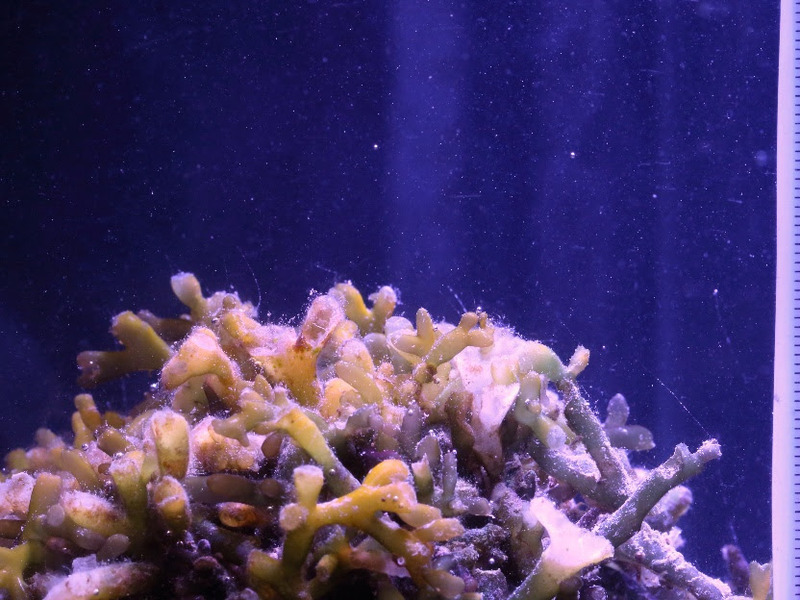 Gas bubbles released by marine algae during photosynthesis produce sound whose intensity correlates with the degree of algal cover on coral reefs, according to a study published October 3 in the open-access journal PLOS ONE by Simon and Lauren Freeman, a husband-and-wife team of the US Naval Undersea Warfare Center and colleagues. The finding may allow a simple and rapid way to measure algal cover, which is one of the strongest indicators of stress on coral reefs. Coral reefs are noisy places, with sounds emanating from water movement, ocean creatures, and other sources. A previous study by Lauren Freeman identified a component of the underwater soundscape that correlated with the abundance of macroalgae (those that form leaf-like structures and filaments) present over the reef, but the mechanism responsible for the sound was unknown. To determine whether the algae themselves were responsible, the authors studied sound emissions from a tank of the Hawaiian invasive algae Salicornia gracilaria. They found that release of gas bubbles—a combination of oxygen released from photosynthesis and nitrogen—produced a “ringing” from the oscillations of the bubbles as they assumed a spherical shape in the water. The sound ranged from 2 to 20 kiloHertz, matching that from oceanic coral reefs. Bubble production and sound emission is not unique to this algal species, the authors note, and so the measurement of this type of sound in marine environments may be a proxy for algal and aquatic plant photosynthetic activity in general. If so, this may allow a rapid and inexpensive alternative to visual methods for estimating algal abundance, which are time-consuming and expensive.